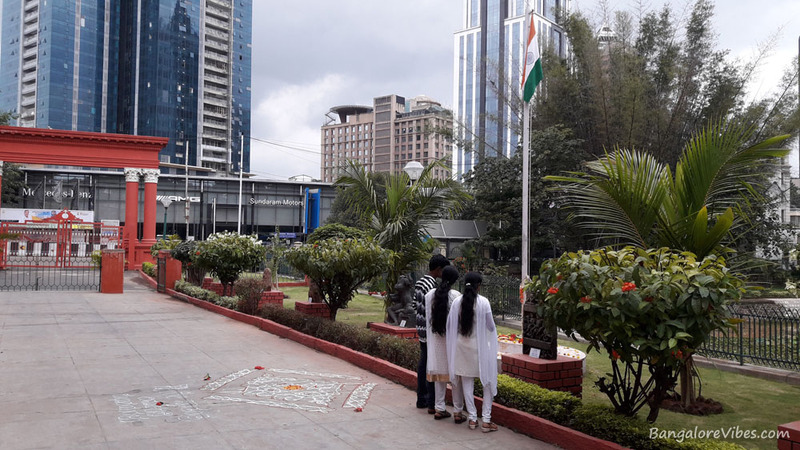 Anticipating some kind of activity in the park, as part of the Independence Day celebration, I set to the park at about 3.30 pm. Unlike any other holidays, the Kasturba road saw more tourists approaching the art gallery and the museums next to it. I entered from the Government Museum gate. This is my favorite entry point to the Cubbon Park as I get to see the beautifully carved statues placed surrounding the complex. Being a national holiday, the inflow of tourists were more than usual. The canteen next to the museum seemed to do a good business. All other days it is just a few customers. Thanks to their menu, quality and pricing. 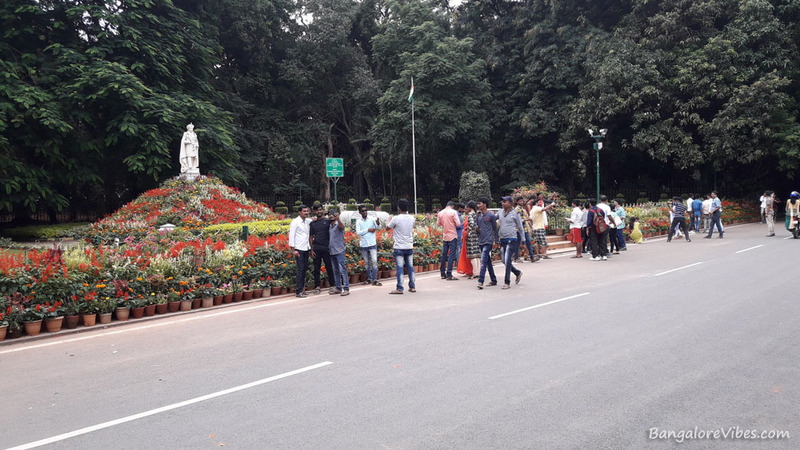 I did not see any event organized inside the Cubbon Park, although, the holiday crowd was present in good numbers. Thanks to the flower show happening in the Lalbagh gardens, Bengaluru. Even there, today was the last day of the show. The people in the park were busy in their own way. Some were taking selfies and some were indulging in romances. I saw an elderly couple admiring their grandchild while he was posing for a photoshoot. There were joggers and fast walkers as well. Walking in Cubbon Park is always refreshing. The dense trees, plants, varieties of birds and couple of heritage buildings here and there is what makes a refreshing moment. I seized this time to capture some images of the park and the notable buildings inside it. The dark blue sky indicated heavy rains within an hour or so but gave a beautiful backdrop for those heritage buildings. The park was open to the vehicles to ply around. The taxi drivers and the youths with fast bikes were recklessly maneuvering posing danger to pedestrians. A great care of caution was necessary while crossing the roads inside the park. 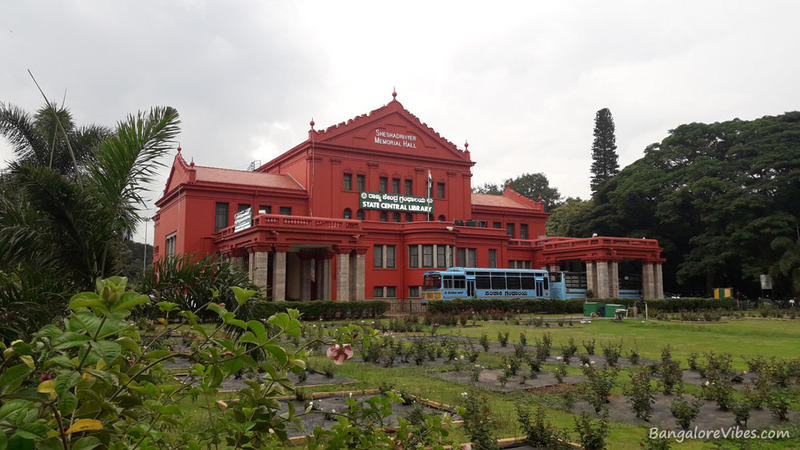 There seemed to be many readers sitting inside the Sheshadri Iyer Memorial Hall, a State Central Library. I saw many of their vehicles parked there. 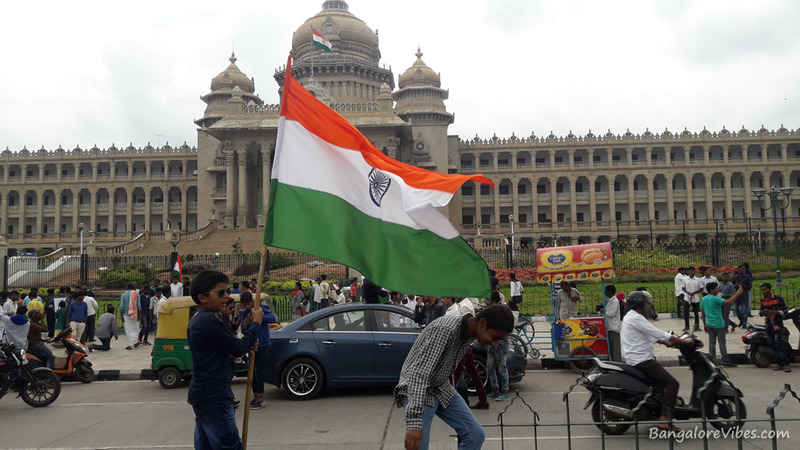 While strolling around the rose garden, I saw a car and a few bikes zooming in with people inside waving the Indian Flag. It was a good long walk in the Cubbon Park. All one has to do is make up the mind and be here. The photography enthusiasts will have a great time capturing the nicest moments. They can actually experiment with different angles and lenses. As anticipated, it started pouring heavily. By the time, I was near the canteen. I was wondering about the other people in the park. 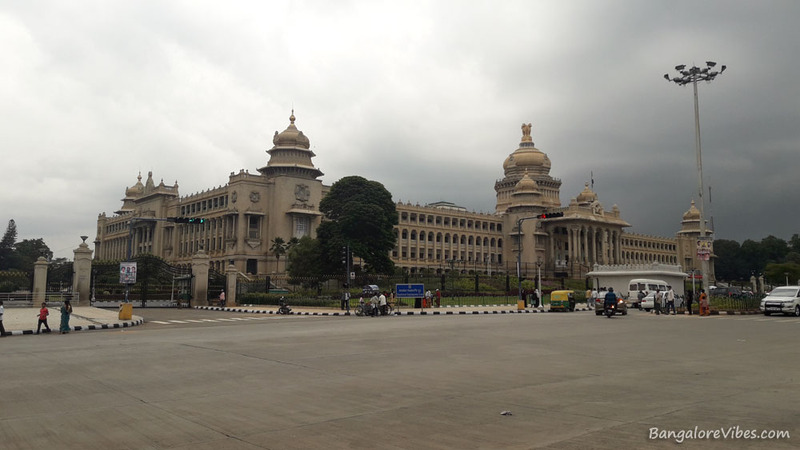 Hope you enjoyed this post and will like our Facebook page – BangaloreVibes.